AutoEntry isn’t just another receipt management or OCR related app, they have listened to the market of accountants and bookkeepers and are offering even more! AutoEntry can bring in line items of invoices AND they don’t just stop at purchasing. They provide AutoEntry services for sales and bank statements. Check out their App to see all the cool things they can do to save accountant and bookkeepers a massive amount of time. 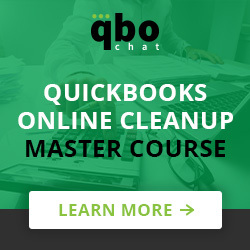 Check out our other QBOchat Live Demos at QBConnect. Have you tried AutoEntry yet? If so, let us know what you think in the comment section below. 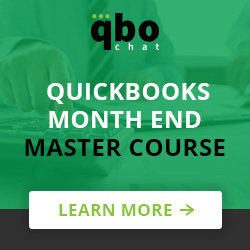 Cathy Iconis, CPA is the creator and facilitator of the weekly tweetchat #QBOchat and the website QBOchat.com - a community for QuickBooks Online Users. She is also the founder of Iconis Group, an Intuit Top 20 Firm of the Future, that supports small businesses all over the United States with their bookkeeping needs. She is a five-time recipient of the prestigious CPA Practice Advisor 40 Under 40 Award, given annually to just 40 people nationwide.